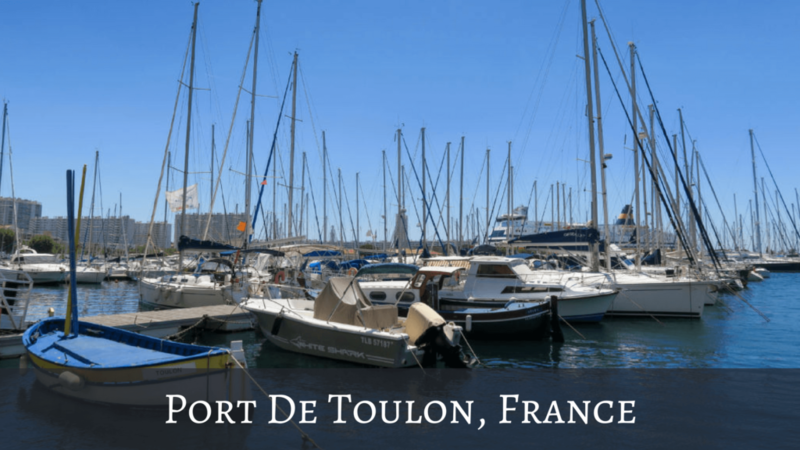 The Port de Toulon is the main harbour in Toulon. 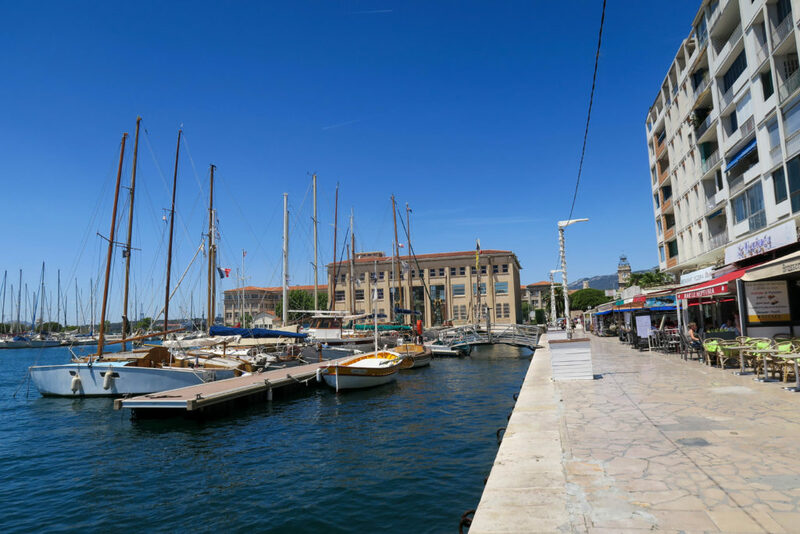 It is also the principal naval base of France, and has been used as a military harbour since the 15th century. 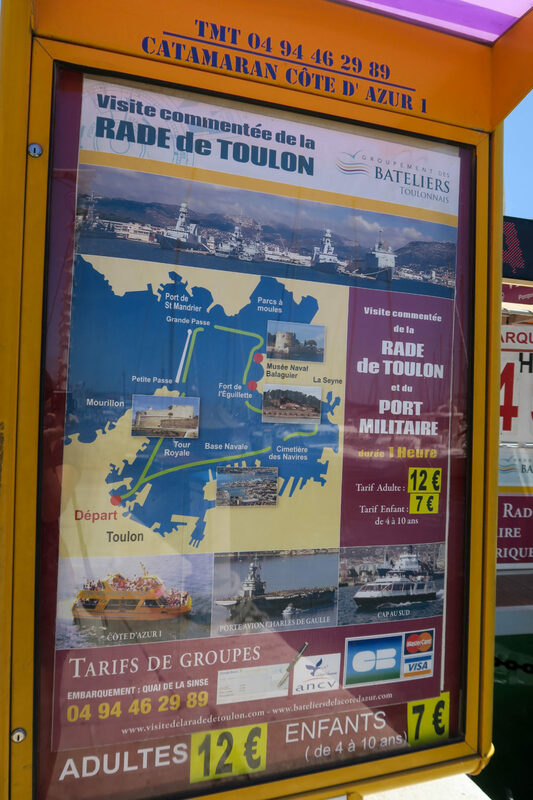 The naval base is sectioned off and isn't open to the public. 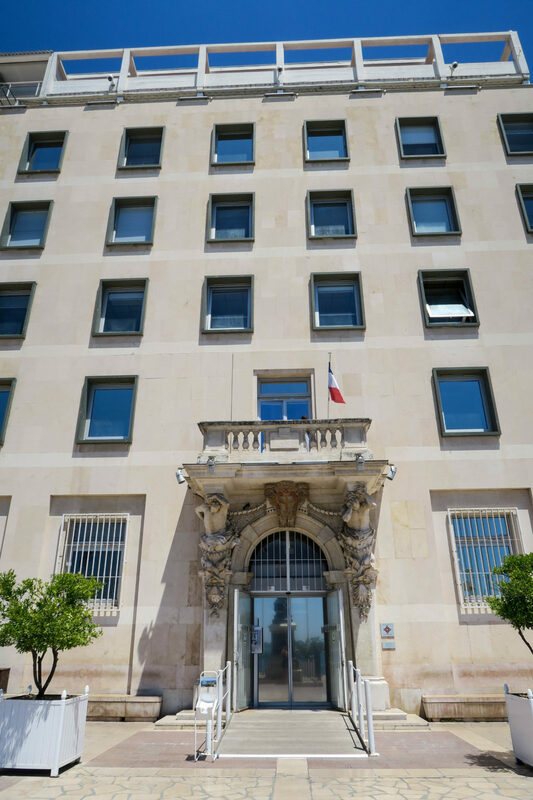 In fact there are guards at the gates to make sure no one trespasses. 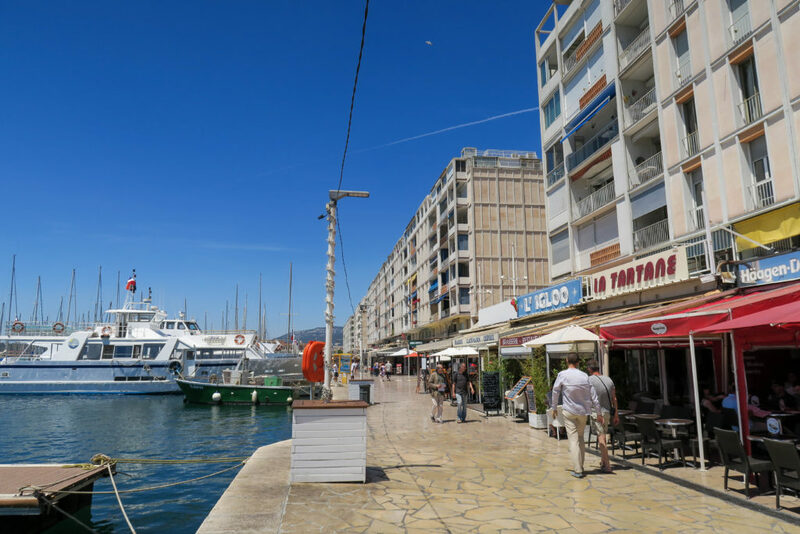 The rest of the harbour is open to the public and boasts lots of shops, cafes and restaurants. 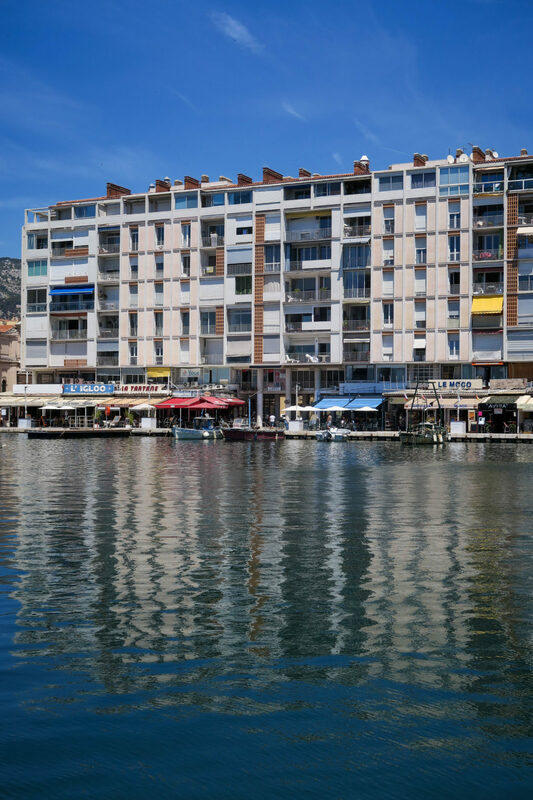 There are big apartment buildings on the front of the harbour with the shops etc at the bottom. 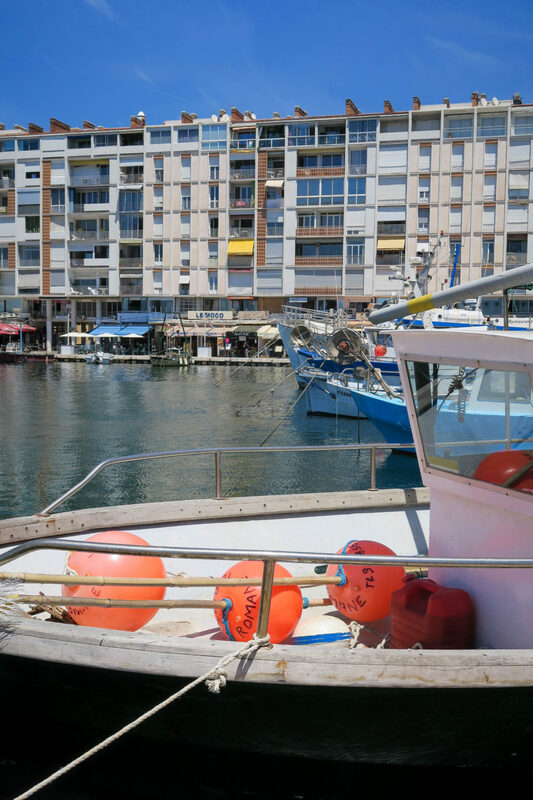 There are lots & lots of boats here, but no where near as many as in Marseille. 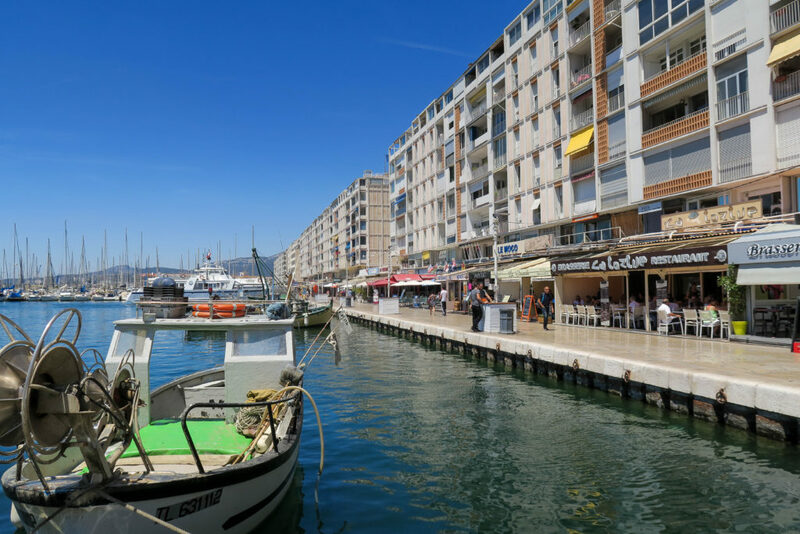 The Port de Toulon is a stone's throw away from the old town of Toulon and so if you come to Toulon for the day, you can see a lot without having to travel too far. 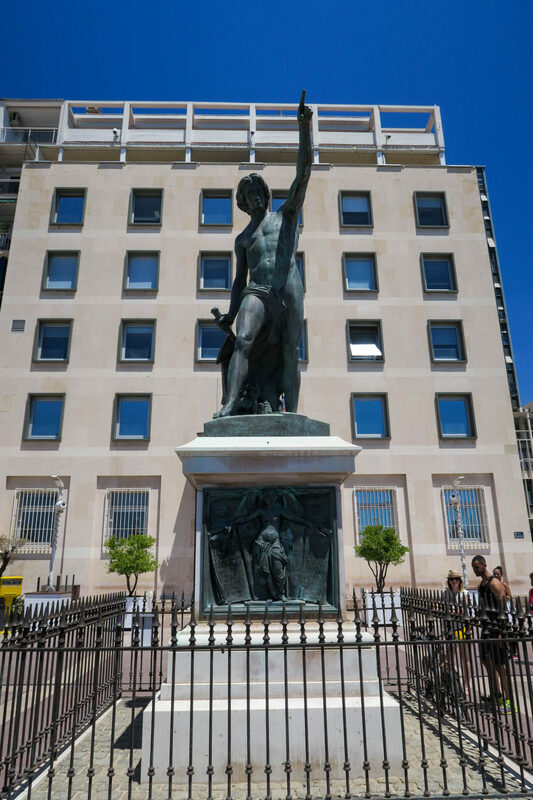 The town hall is also on the harbour front which has a statue in front of it. 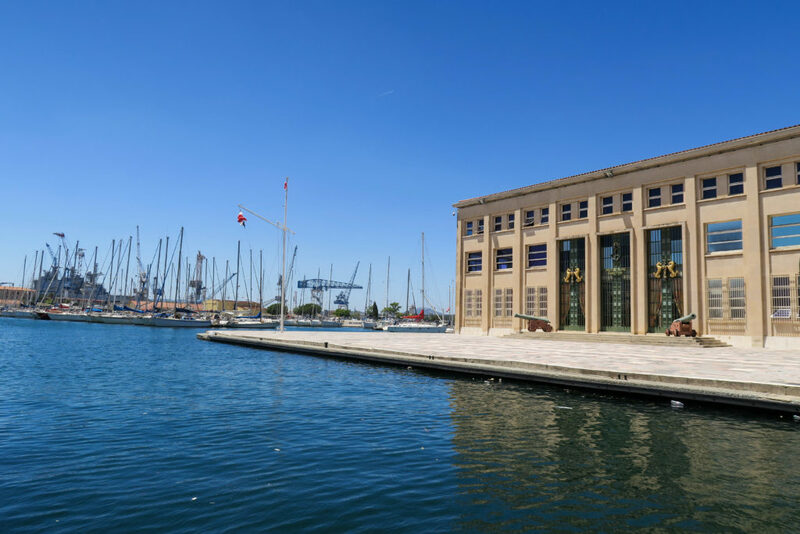 The building wasn't too impressive to be honest (I only say that as usually in old French towns, the 'Mairie' or town hall is a nice old building). 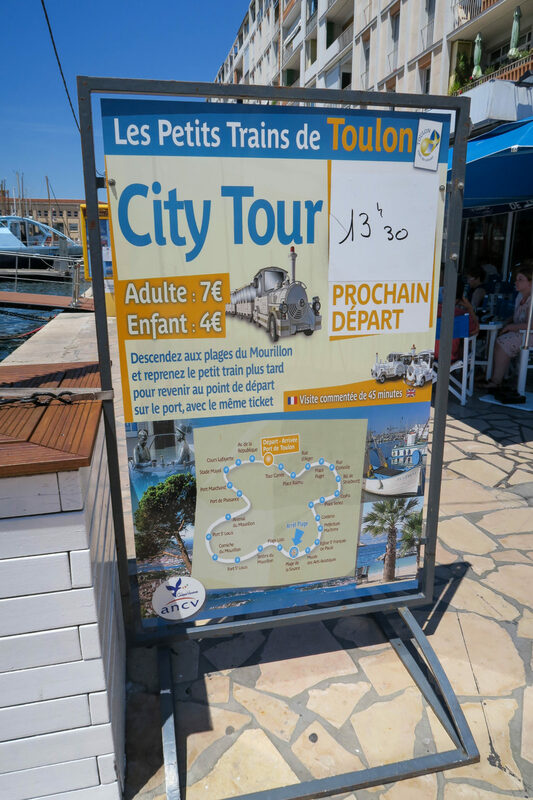 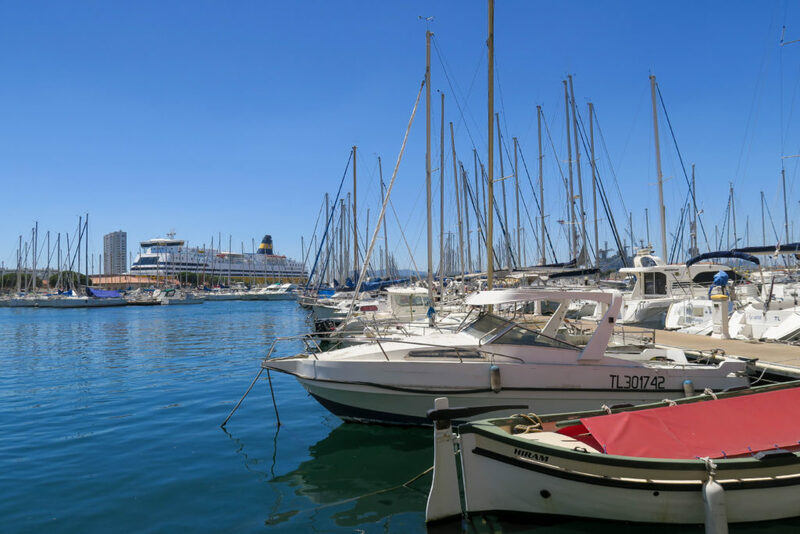 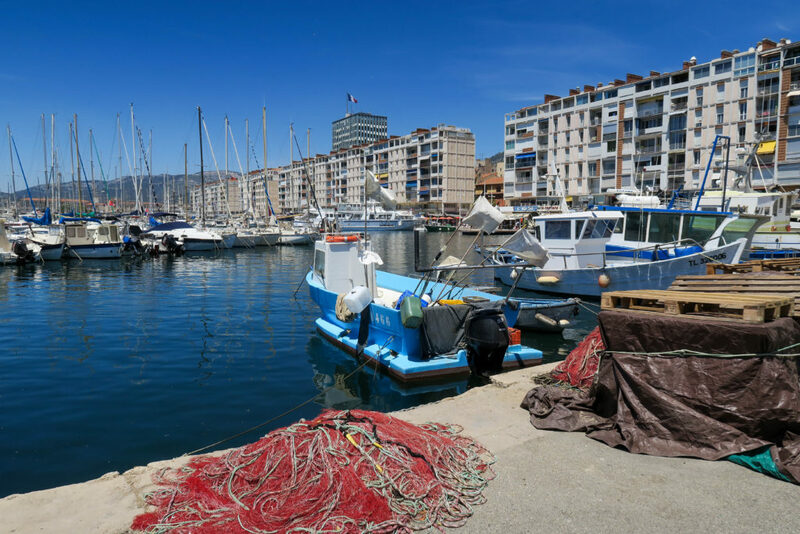 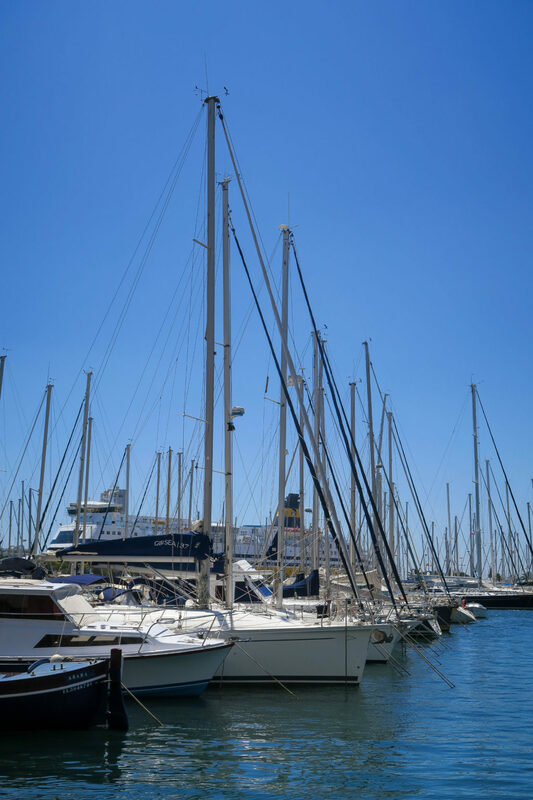 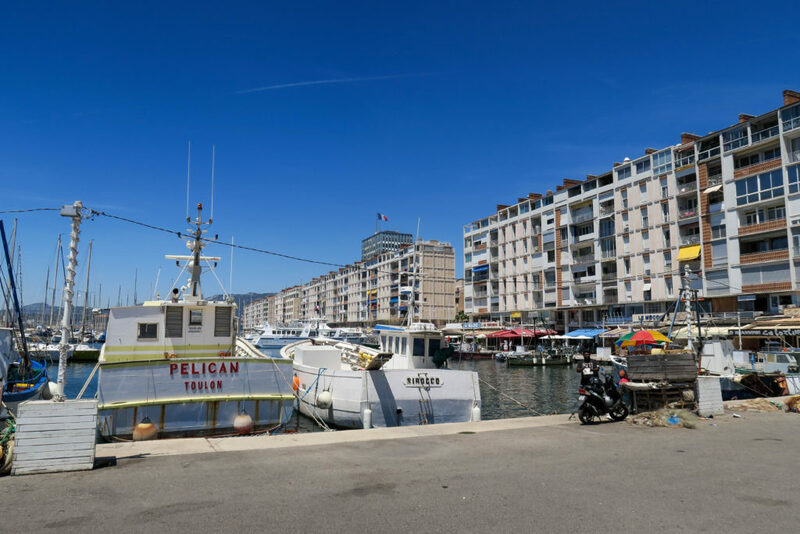 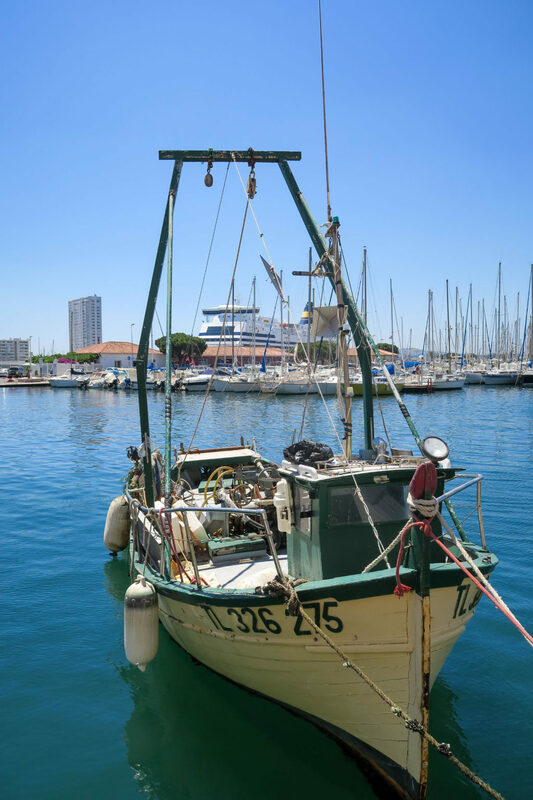 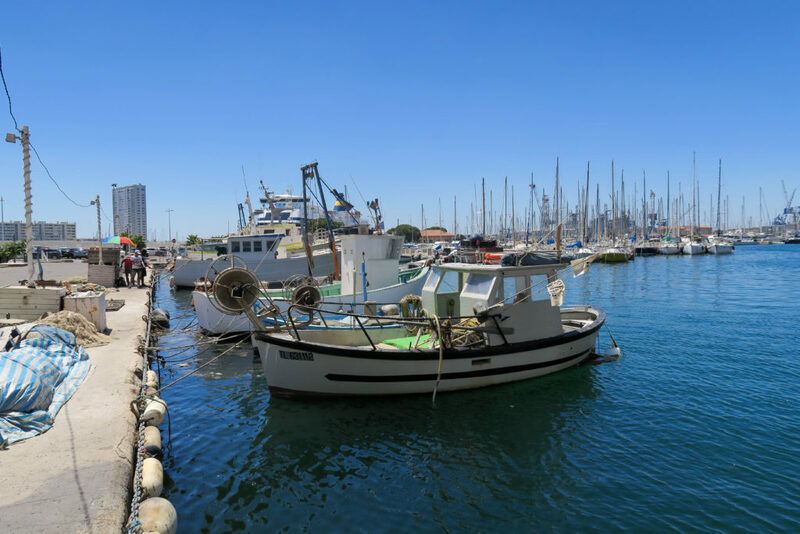 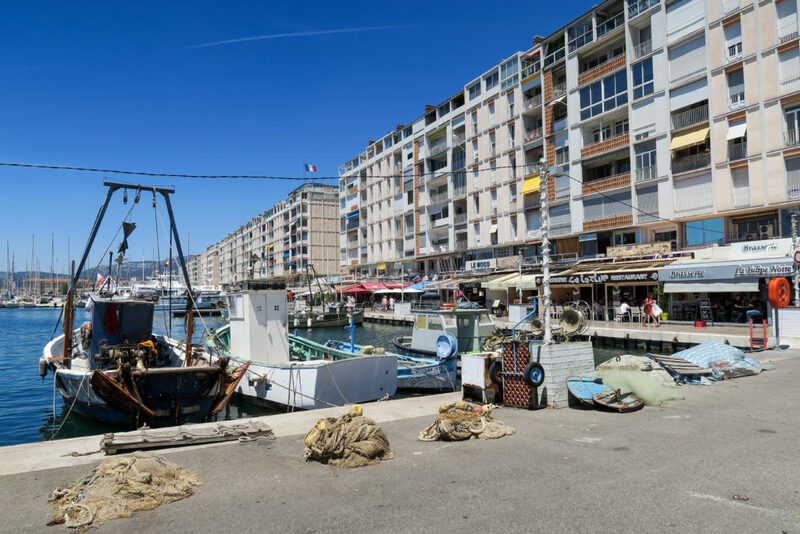 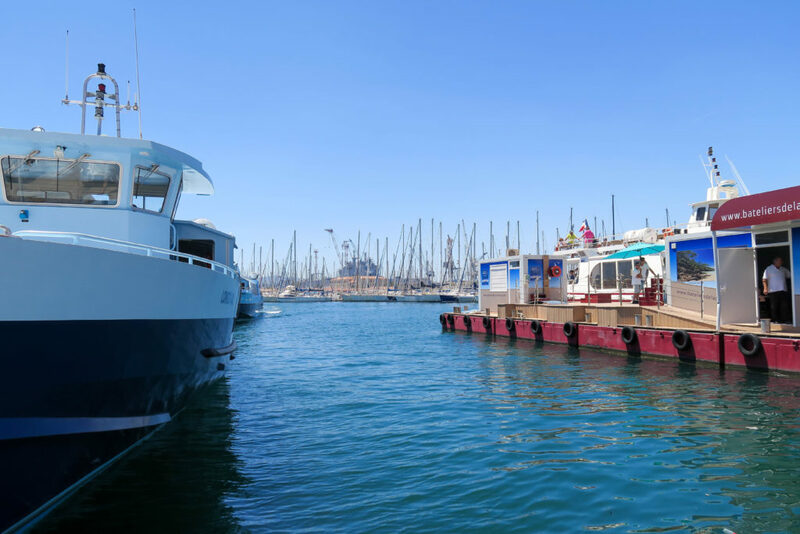 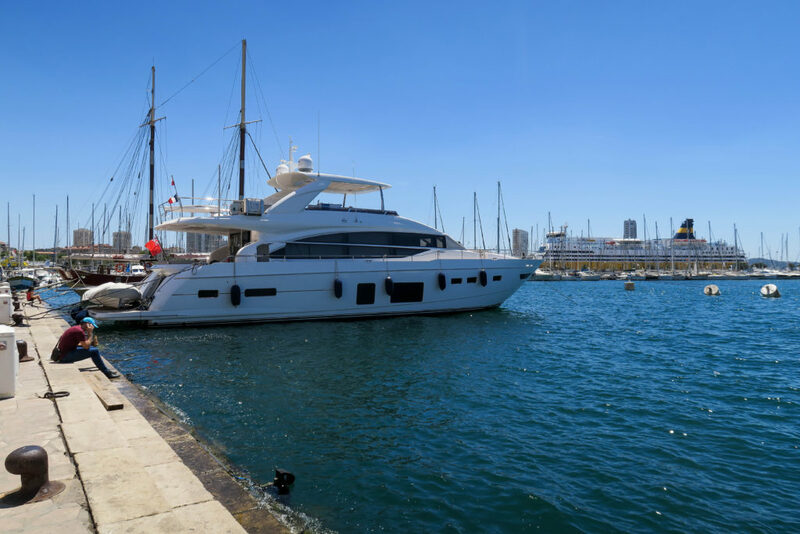 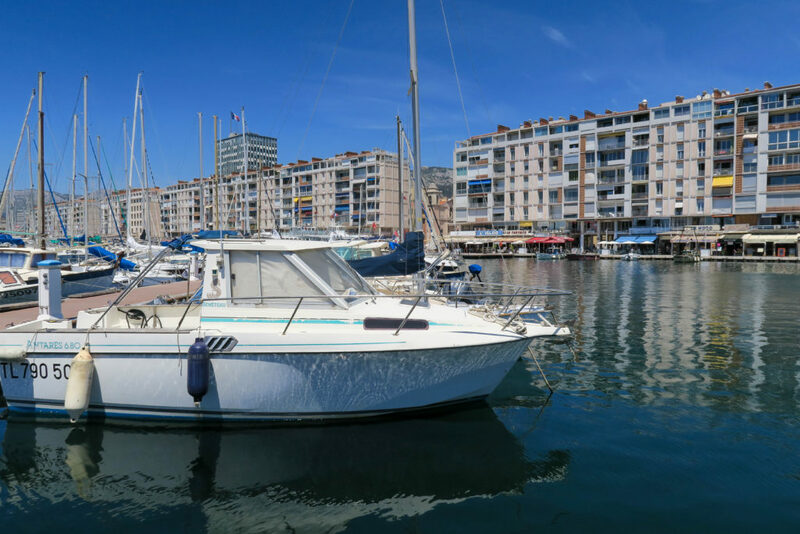 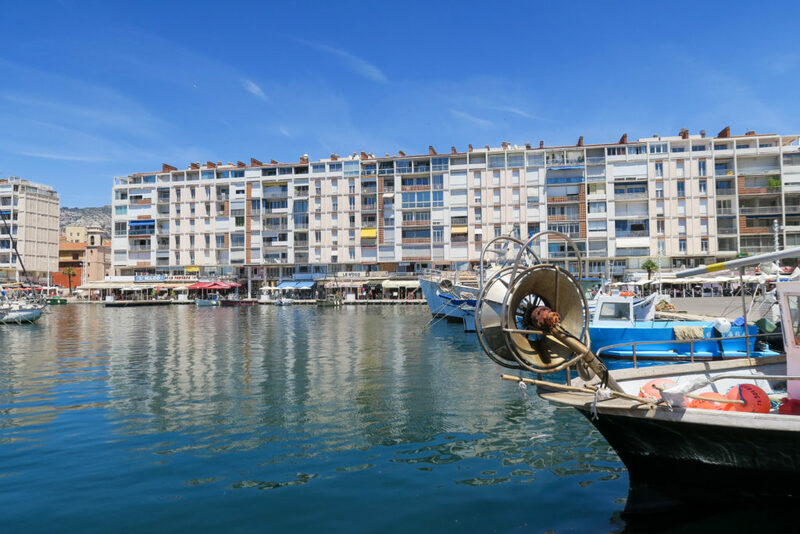 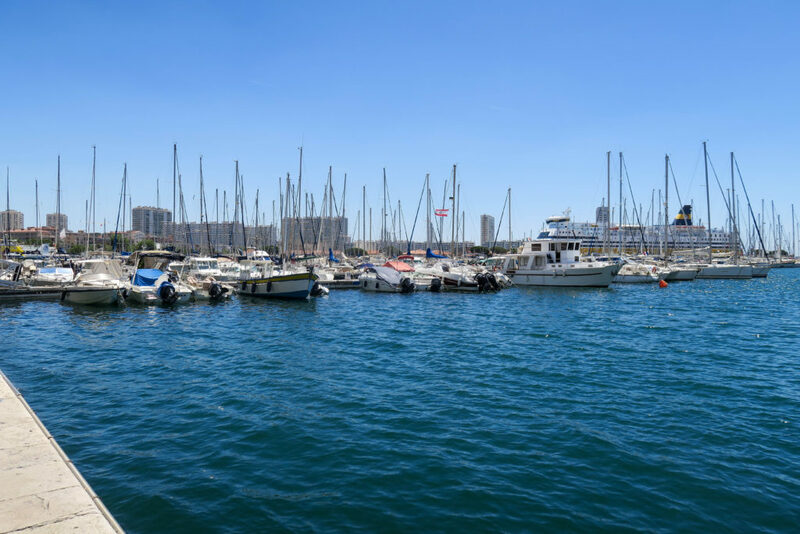 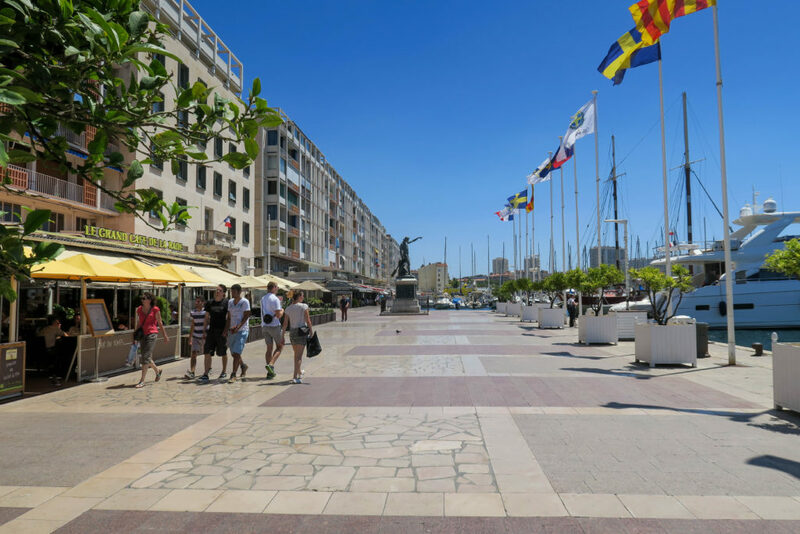 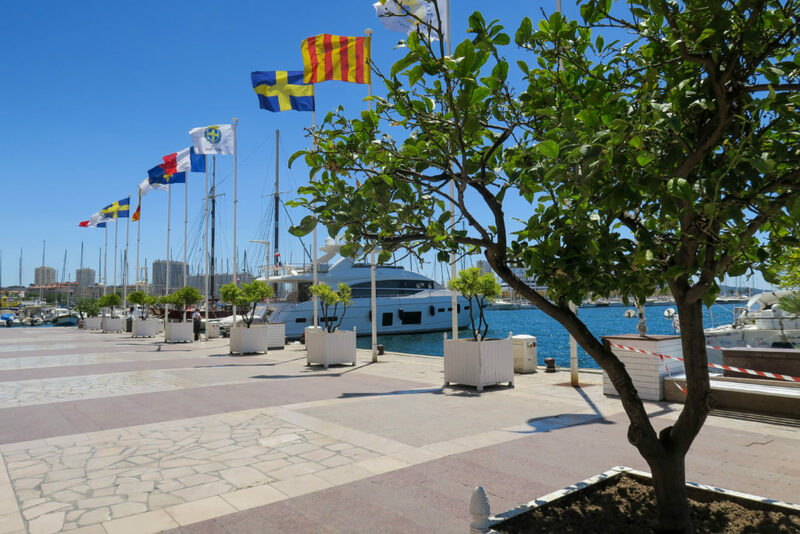 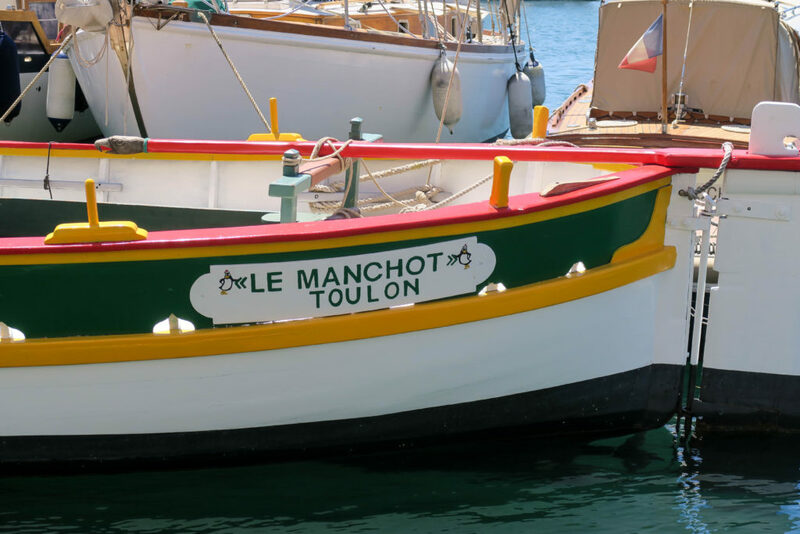 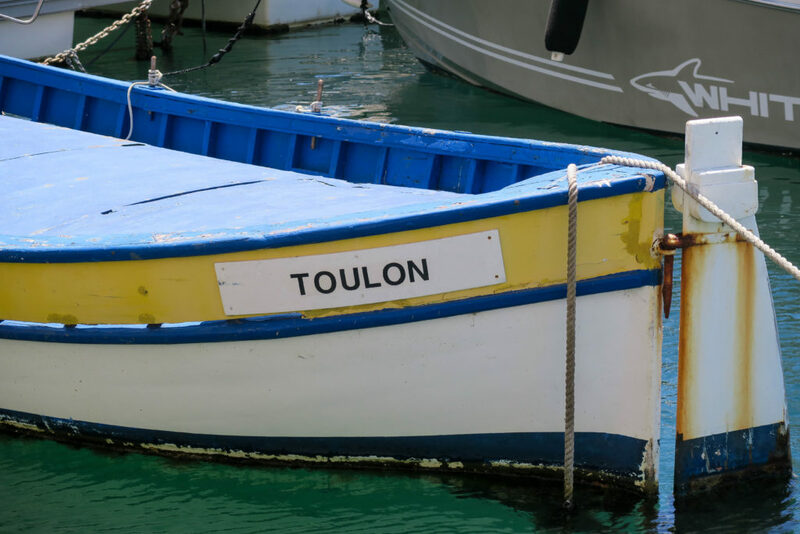 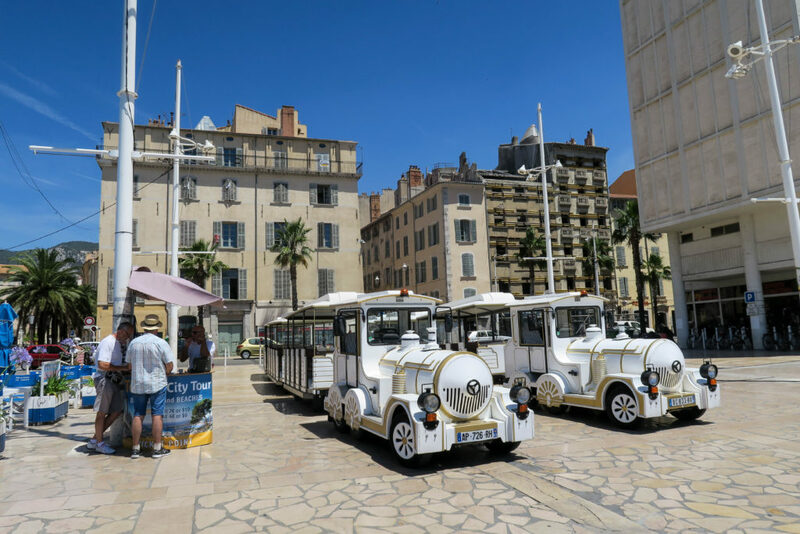 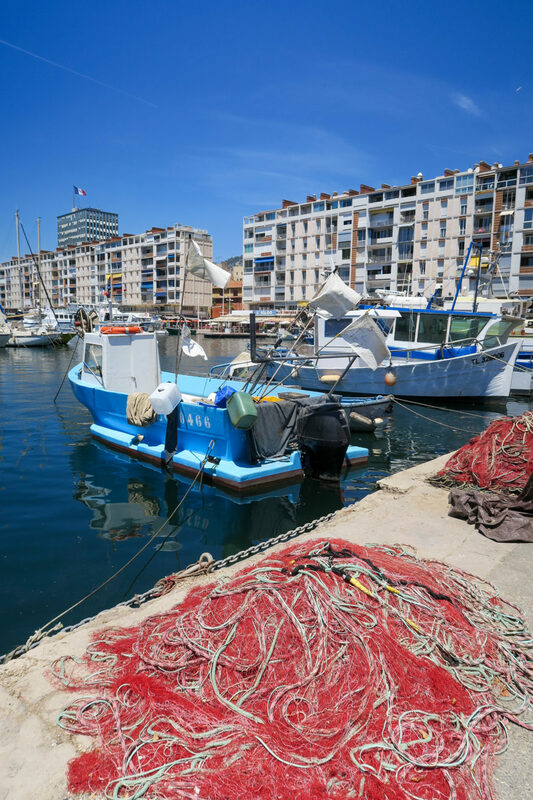 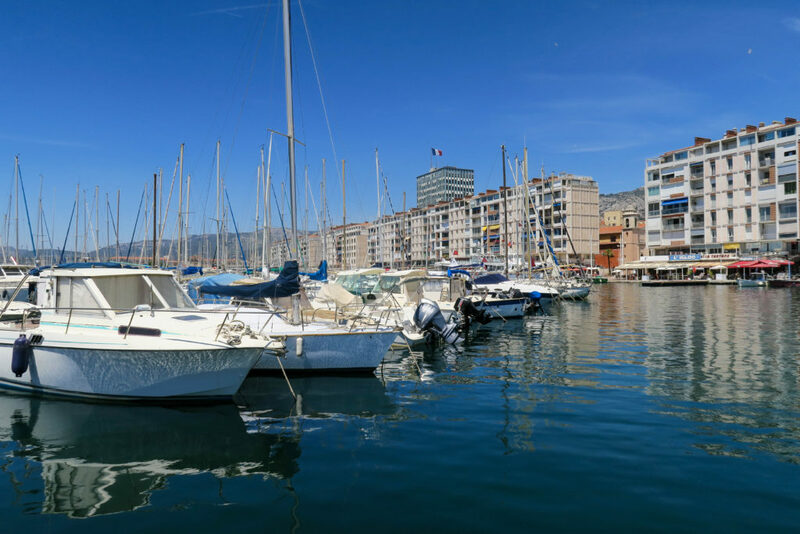 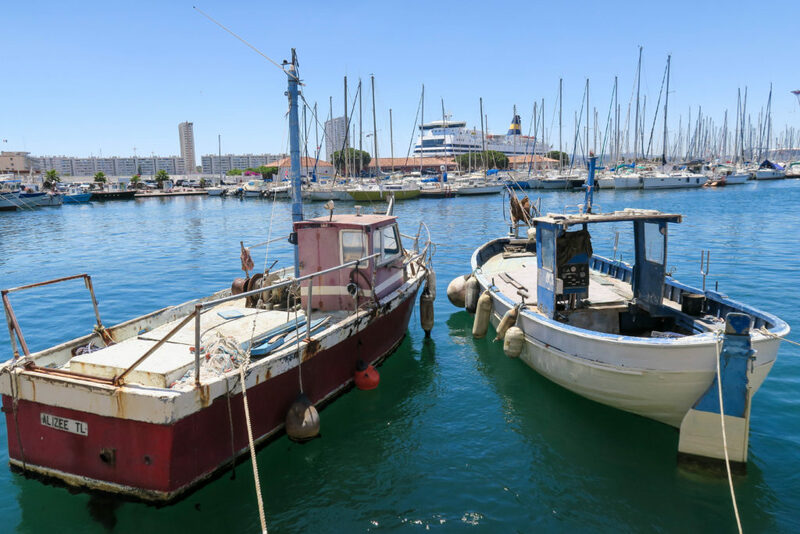 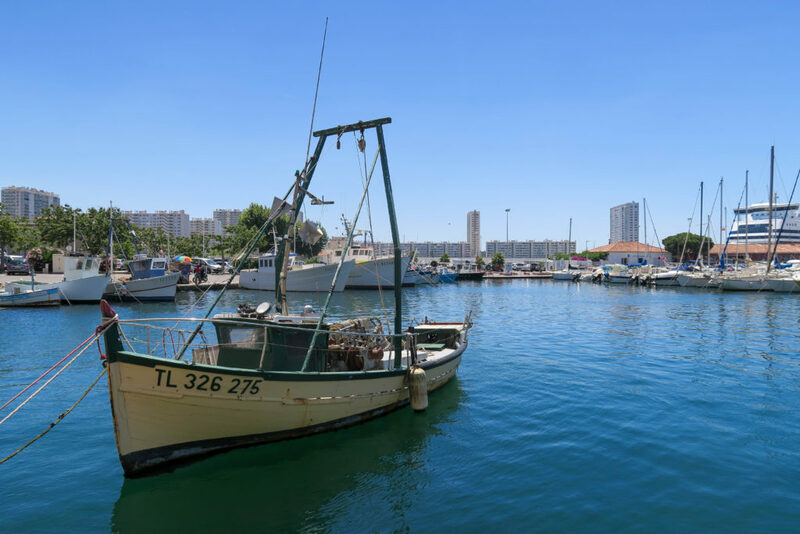 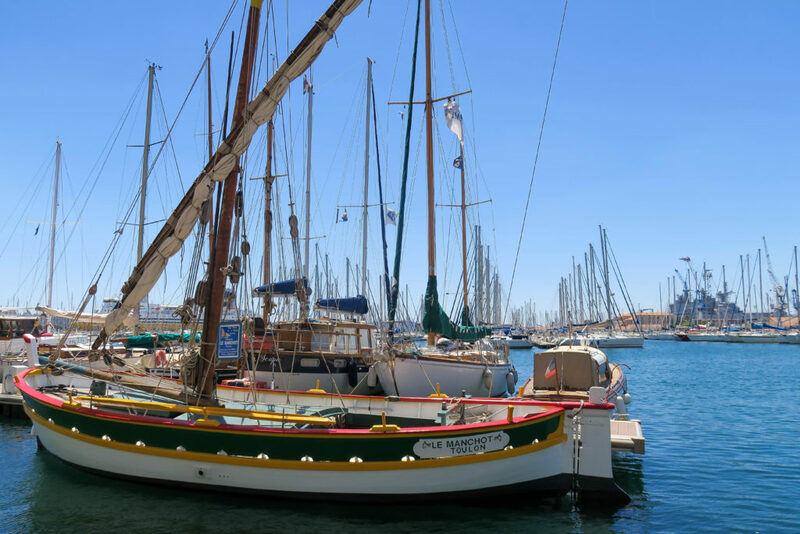 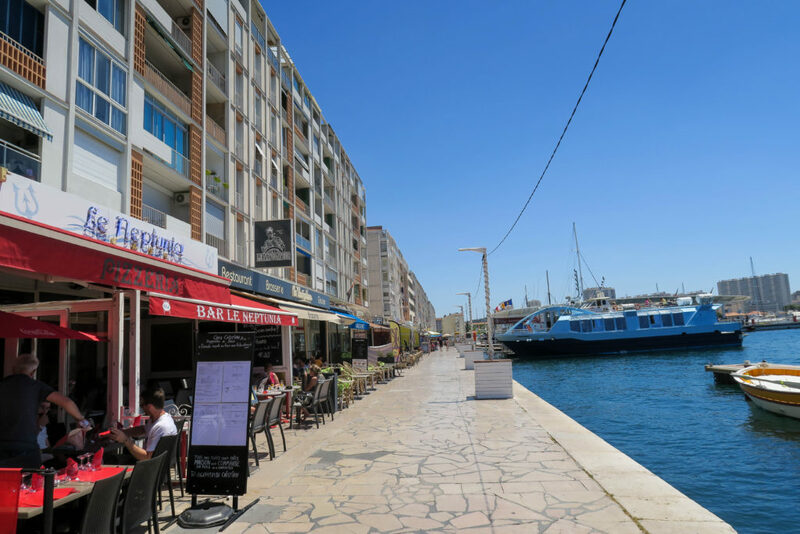 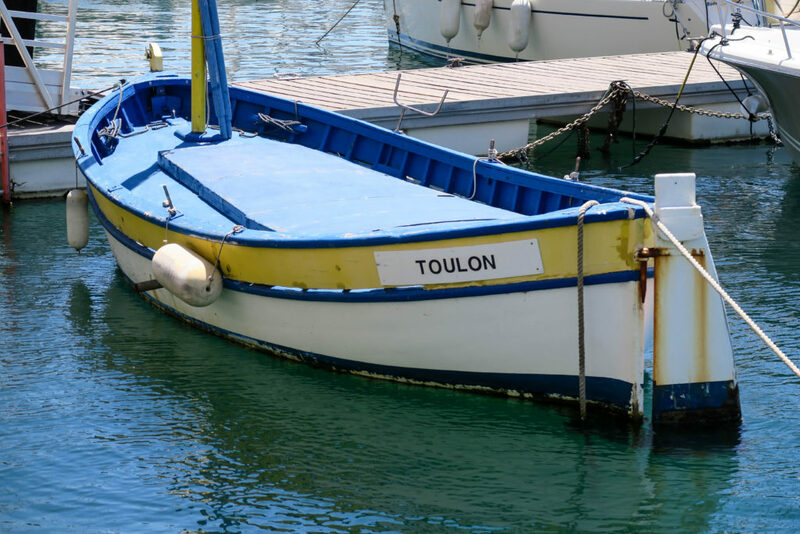 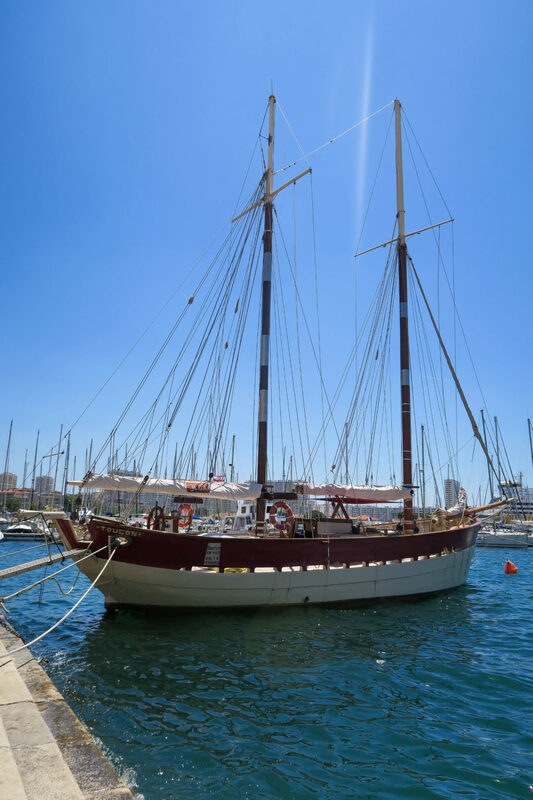 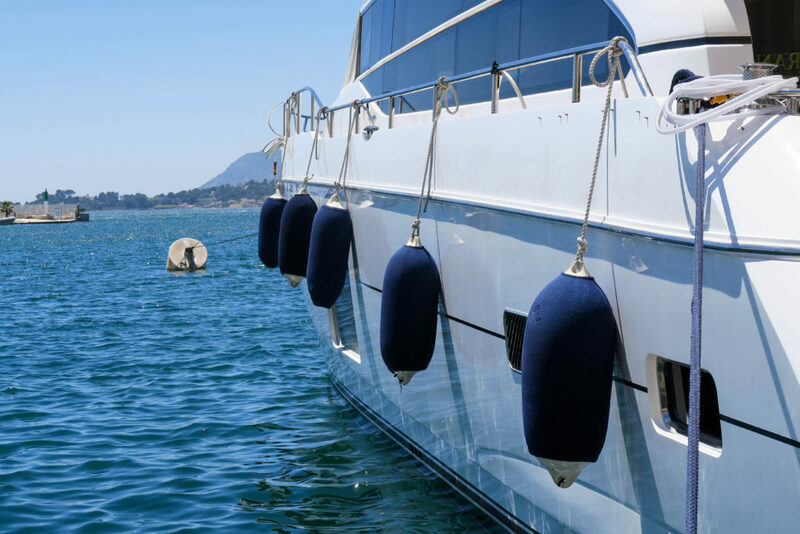 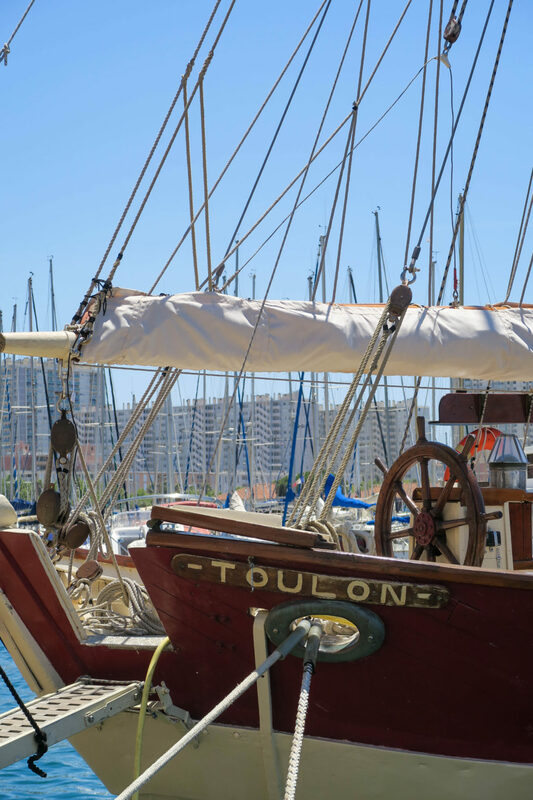 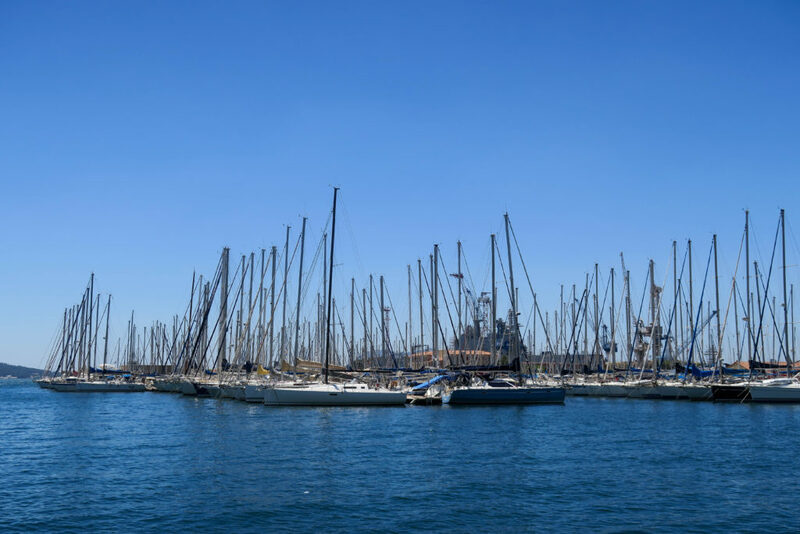 The Port de Toulon offers lots of boat trips, scuba diving excursions and is also the start of the 'petit train' which is a tourist train that shows you around the city. 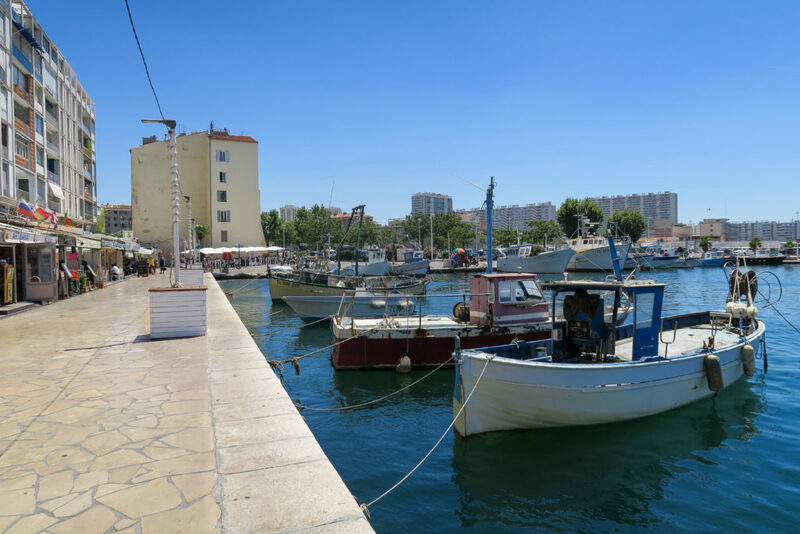 Overall the harbour was quite nice to visit, but not one of my favourites. 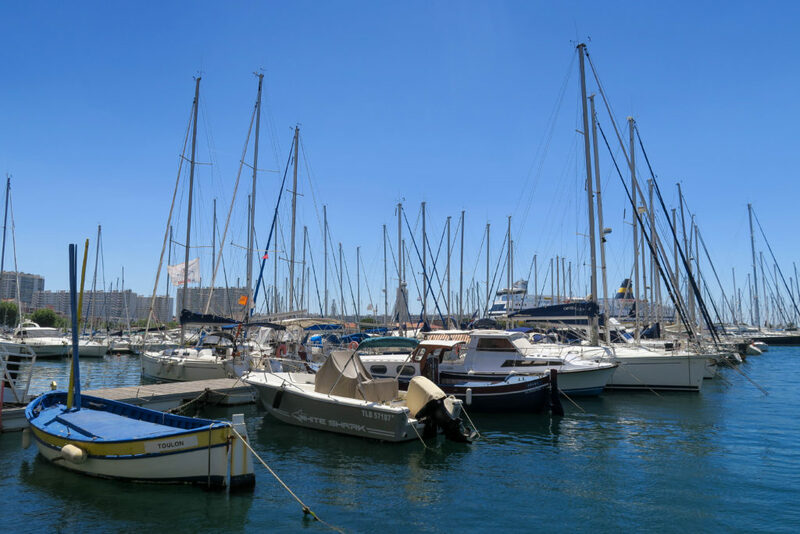 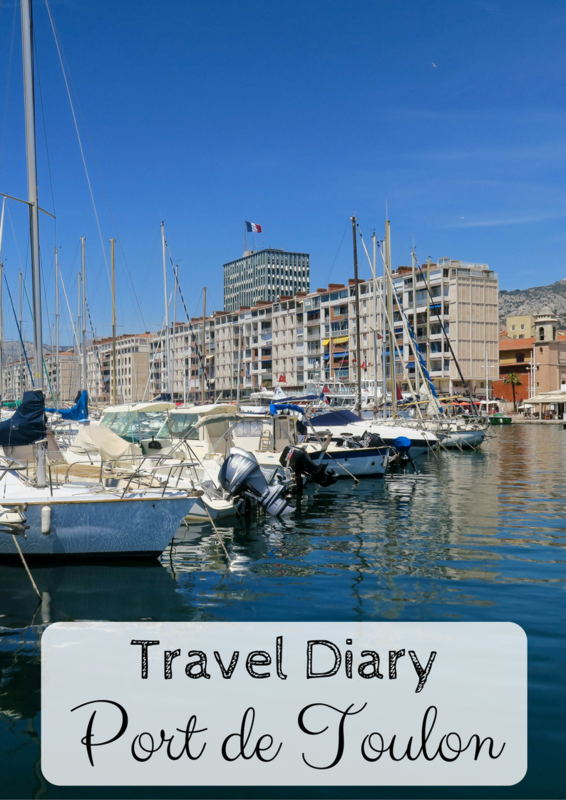 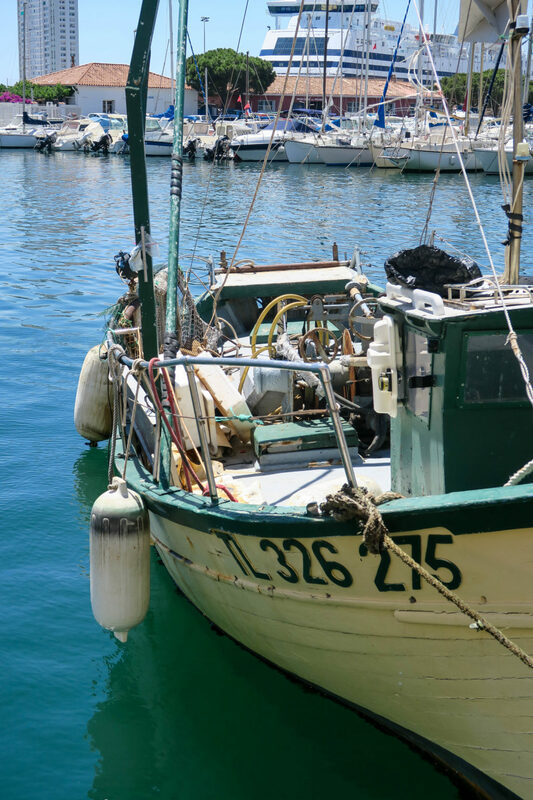 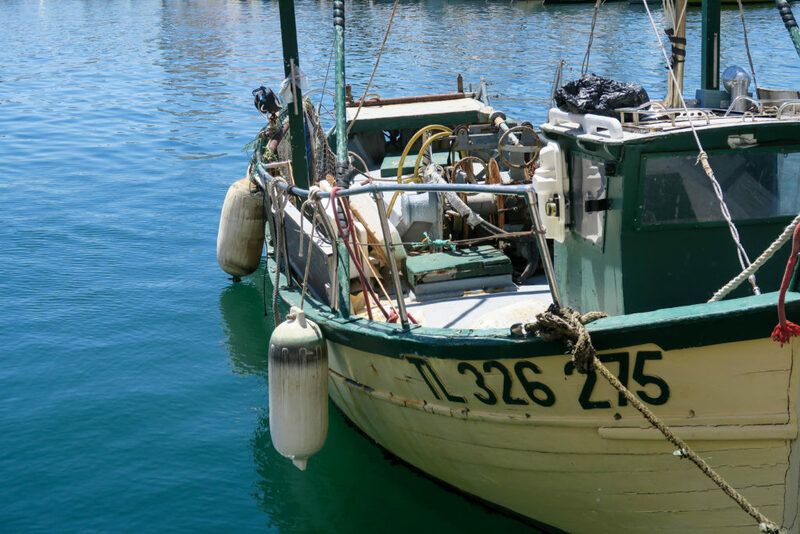 My favourite harbour is the Port de Cassis - read my blog about it here.